Day 1 - In Dublin’s Fair City. Day 2 - To Galway, City of the Tribes. 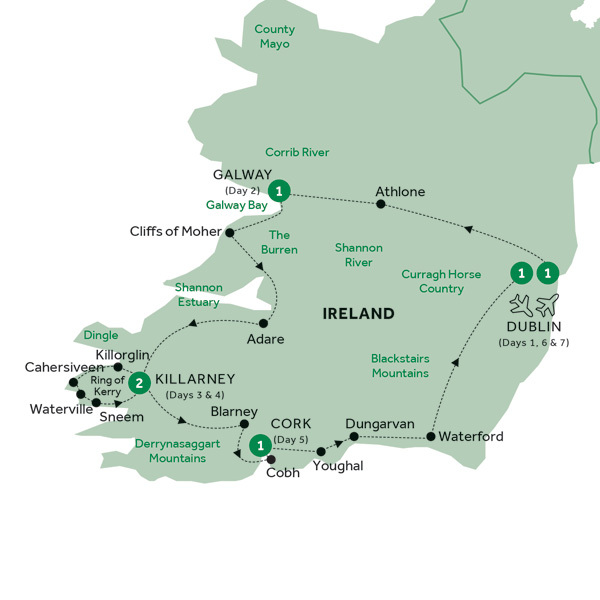 Day 3 - The Cliffs of Moher, Adare and Killarney. Day 4 - Ring of Kerry Experience. Day 5 - Blarney Castle and Cobh on the way to Cork. Day 6 - Waterford, Kildare and on to Dublin. Day 7 - Depart Dublin.